Having just finished two competition paintings, I am now trying to decide what my next big project will be. 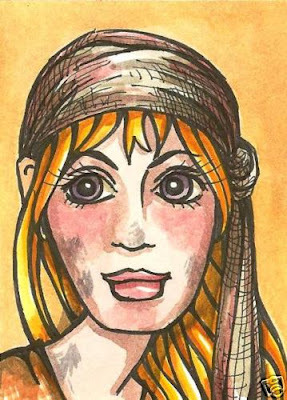 In the interim, I have been painting ACEO-ATC's again. I always work on these tiny gems to keep the creative juices flowing and my hand active with drawing and painting. I'm making a Cinderella set of characters. This first one is "Cinders Cinderella". I am selling it on eBay, just search "jgg".